I’m neither the first nor the last to tell you, but the waiver wire is extremely thin. Streaming pitchers becomes more difficult and I find myself paying close attention to pitching prospects as they get ready for their call to the majors. When it comes to streaming, I try to play a hot hand or turn to my fellow Major League Fantasy Sports writer, the Mustang himself, Joe Iannone. Joe’s Sunday articles, “65 Mustangs” Pick Your Spot Starts, do a phenomenal job targeting not only two-start pitchers for the upcoming week, but pitchers that are owned in nearly 40% of leagues or less. Usually, I’m late to the party and I either get whatever scraps are left or I find myself praying a prospect gets called up. Luckily, I was the first to the waiver wire when Soroka was initially called up the first week of May. I was able to stash him on one of my disabled list slots and this week I want to discuss what makes him the perfect addition to your fantasy roster in this week’s edition of “That’s Amore!” Mike Soroka: A Must Add for Wednesday. We’ve all heard the name and Soroka’s only owned in 15% of leagues. This number was higher, but numerous owners dropped the young righty after he was placed on the 10-day disabled list. Through three starts he’s gone 1-1, with a 3.68 ERA, 1.70 WHIP, and 15:4 K:BB ratio. The WHIP is higher than we’d like, but we are talking about only 14.2 innings of work. Drafted 28th overall in the 2015 draft, Soroka has been successful through every stop in the minor leagues. Through 361.1 minor league innings he’s compiled a 2.81 ERA, 1.088 WHIP and 3[21:77] K:BB ratio. Simply put, he doesn’t get hit often, and he keeps the ball in the park surrendering only 13 long balls through four stops in the minors. What makes Soroka special is the sinking life on his fastball. It reaches the mid-90s and hovers around 93-94 consistently. By the time it reaches home plate, it starts a trend toward the dirt. Not only is it hard to make contact against his fastball, but, when hitters do, they frequently hit it into the ground. He follows this up with an upper-80s slider, mid-80s power curve and a changeup. He can throw any pitch for a strike and his repertoire allows him to throw a strike no matter the count. His 55.5% GB% speaks volumes as his ground ball rate is comparable to Major League pitchers such as Jake Arrieta (56.6%), Dallas Keuchel (54.4%), Mike Mikolas (50.8%) and Charlie Morton (50.8%). I understand we are talking about these four pitchers facing better hitters than Soroka has seen in the minors, but even during his small sample in the Majors he commanded a 42.9 GB%. Through five Triple-A starts his GB% came in at a staggering 76.9%. If you’re looking for a pitcher that won’t kill you with the long ball and keeps the ball on the ground, it’s very hard to find a waiver wire gem better than Soroka. Another factor that plays into adding Sorka is the strikeout potential. His K/9 throughout the minor leagues has always been around nine and at Triple-A it sat at 10.33. His 9.2 K/9 while pitching for Atlanta is sixth among rookie starting pitchers behind only Shohei Ohtani (11.13), Caleb Smith (10.83), Jack Flaherty (9.61), Domingo German (9.55) and Walker Buehler (9.47). All of these starters are owned in numerous leagues and it’s easy to see why Soroka should be a sought after rookie starting pitcher. On Wednesday, Soroka faces the New York Mets at home. The Mets have been sub-par early into the 2018 season — currently sitting 28-34 — 7.5 games behind NL East division leaders, Washington Nationals. The Mets offense has been anything but spectacular sitting 28th in runs scored (237), 26th in batting average (.230), 25th in OBP (.307), 25th in home runs (63) and 28th in hits (481). Only the Philadelphia Phillies (478) and Arizona Diamondbacks (471) have less hits than the New York Mets. This is the perfect club for Soroka to face coming off the disabled list. What should we expect versus the Mets on Wednesday? The Mets are in the middle of the pack in terms of hitting ground balls, so this will play perfectly into Soroka’s game plan. New York is one of the worst teams in baseball versus right-handed pitching hitting a combined .240 with 370 strikeouts. While they may not strikeout much against righties, they do, however, hit into their fair share of double plays coming in tied for 10th in Major League Baseball with 32 versus right-handed pitching. Making solid contact against righties has been an issue and this plays well for Soroka. Combine this with strikeout potential and Soroka is a solid play for year-long and daily fantasy leagues. Overall, I expect a solid start from Soroka. He has a favorable matchup against the woeful Mets and the Braves offense has been third-best in the league. I expect five innings pitched, five strikeouts, one earned run and one walk. If you’re looking for a waiver wire streamer for Wednesday with the potential of being rostered for the long-term, Soroka is arguably one of the best options. 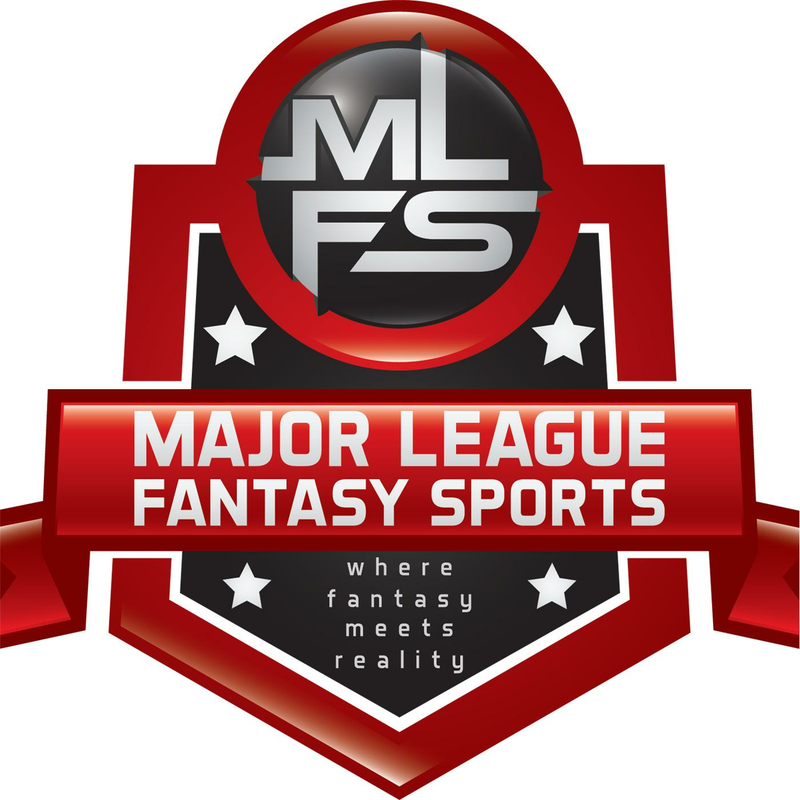 Major League Fantasy Football Radio Show: Join host Corey D Roberts, and James Wilk live Thursday June 7th, 2018 from 8-9:30pm EST for episode #81 of Major League Fantasy Football Radio. Call in number is 323-870-4395 press 1 to speak with the host. This is our kick of show for the 2018 fantasy football season. We will be breaking down over the next 8 weeks each division from a fantasy perspective. We will hit free agents, rookies, and fantasy football as a whole for each team for 2018. This week we will discuss everything AFC East!